We recently caught up with one of our tour managers, Veronica, to find out a bit more about her life on the road with Newmarket Holidays. 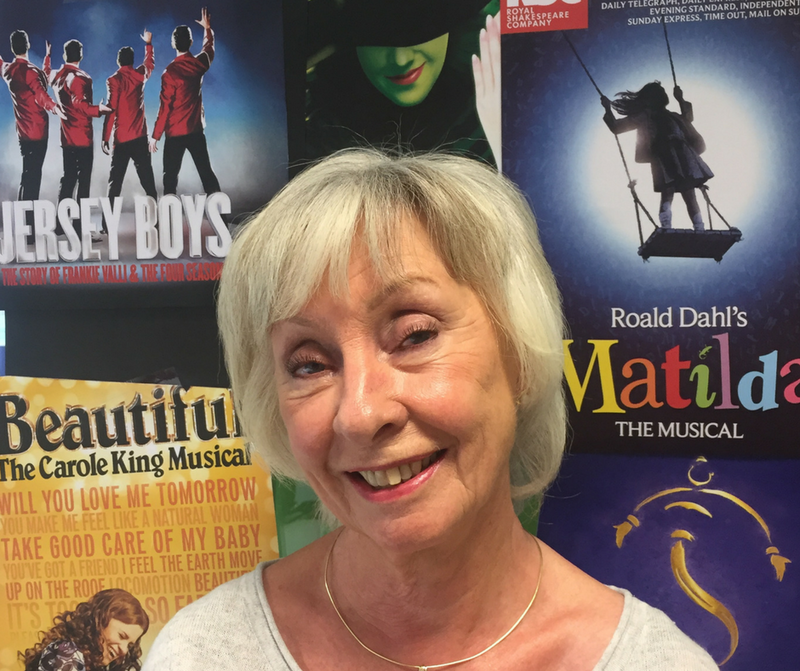 Veronica has been with us for many years and currently works on our London Theatre breaks. 1. How long have you been a Newmarket Holidays’ Tour Manager? Gosh, I couldn’t be precise. I worked in the Customer Liaison Department for many years before I finally made the move to ‘go on the road’. For a while I just did little weekend tours and combined tour managing with my office job before I eventually made the decision to move entirely over to tour managing, and that was 12 years ago. I’ve certainly been with Newmarket Holidays a long time – around 25 years at least! 2. What is it about the job that you love? The variety, and of course the customers. You meet such a diversity of people and even if I do the same tour week after week, it’s always different. Well, there’s a question! You have to enjoy it. If you do, it’s infectious and I like to think that my passengers enjoy it too. Not forgetting the coach drivers… a skillful, friendly coach driver makes a very important contribution to the success of any tour. The tour manager and driver are the team that bring together the final product after hours of work put in by those in the office. In addition, one most important little word speaks volumes – preparation, preparation, preparation! 4. Is there anything in particular that you like to offer customers? I love history so I enjoy researching new tours. My favourite commentary stories are ‘people stories’ – historical or topical characters or organisations that have an interesting or heroic background and are associated with the places that we visit. I think passengers enjoy short but factual stories. Also, a small thing I like to do is remember the names of passengers travelling alone and have a brief chat with them, particularly on the first day of a tour. Maps, particularly for passengers who are unfamiliar with our capital city. Some people find London quite daunting and wouldn’t venture a great distance alone. It’s one thing to explain to passengers where an attraction is located but it makes more sense to give them a decent map and mark things for them. Also I always carry a notepad for bus numbers, phone numbers and any other bits of information they may need. I find that people prefer to have something in writing to refer to. 6. What’s your favourite show in London and why? Mamma Mia and Billy Elliot were both memorable, cheerful and lively. You came out at the end feeling happy. Also – long-finished I know – but Shrek was super. I saw it when Amanda Holden played the princess. She was brilliant. 7. Without giving away names or details, do any funny/touching moments with customers stick out in your memory? Not a West End tour but in Antwerp. Passengers had free time in the city and I’d walked with them to the Grote Markt in the centre having told them of some places they might like to visit. When passengers came back to the coach, a lovely middle-aged couple were smiling broadly. The lady was proudly showing off a beautiful solitaire diamond ring that must have far exceeded the cost of their holiday. They’d been to the Diamond Quarter and there’d been an impromptu engagement. The coach erupted with cheers and applause! 8. When Newmarket guests are at their show, how do you fill the time? Guests often ask me this question. Oxford Street and St Christopher’s Place seem to have a magnetic pull on me. I spend far too long and far too much money in these places! Occasionally, something special will be taking place like the ‘Poppies’ at the Tower of London. Sometimes I’ll meet a friend or another tour manager and have a leisurely meal with them. The time passes really quickly. 9. Have you ever rescued a victory from the jaws of defeat? I can’t really think of anything memorable but guests do sometimes get disorientated and naturally worry that they won’t find the coach, we’ll leave without them and that they’ll be stranded in a strange city. However, they are all provided with a basic West End map with my mobile number on it. I sometimes have passengers who’ve gone astray but, thus far, have always been able to locate them. 10. What restaurants or bars would you recommend for a pre-theatre dinner? When it comes to pre-theatre restaurants and bars, the West End is full of them. However, Sarastro’s in Drury Lane is certainly unusual. It’s ornate and has some cosy, intimate corners for dining. It has a ‘cheeky’ theme and suffice to say the toilets, whilst immaculately clean, are a topic of much conversation! Rules in Maiden Lane is famed for its association with Edward VII and Lily Langtree. It offers good service, a very decent menu and makes a super ‘special event’ venue but you have to pre-book. I would suggest that theatre-goers take an early meal. There are so many restaurants to choose from but they may be very crowded on a Saturday evening. Some diners get to the restaurant early, spend a long time at the table and don’t leave until shortly before their show is due to start. For me though, it’s likely to be a basic ‘Pret’ or a Chinese buffet! Win 2 tickets to The Go-Between! In a comment, tag the friend you would take with you to see The Go-Between and tell us why you’ve chosen this person. Follow our Facebook page and wait till the close of the competition (29th August) when we will announce the winner! To enter, entrants must tag the person they would take with them to see The Go-Between via the Facebook post here [to be hyperlinked] and say why they would bring this person; entry is restricted to one per person. Once submitted, entries cannot be amended in any way. Late, illegible, incomplete, defaced or corrupt entries or entries sent through agencies and third parties will not be accepted. No responsibility can be accepted for lost entries and proof of despatch will not be accepted as proof of receipt. One winner will be drawn at random from all entries received by the closing date. All entries must be received by midnight on Friday, August 29th, 2016. The winner will be contacted by the Promoter within 14 days of the closing date of the prize draw. Should the Promoter be unable to contact the winner or should the winner be unable to accept the prize, the Promoter reserves the right to award the prize to an alternative winner, drawn in accordance with these terms and conditions. 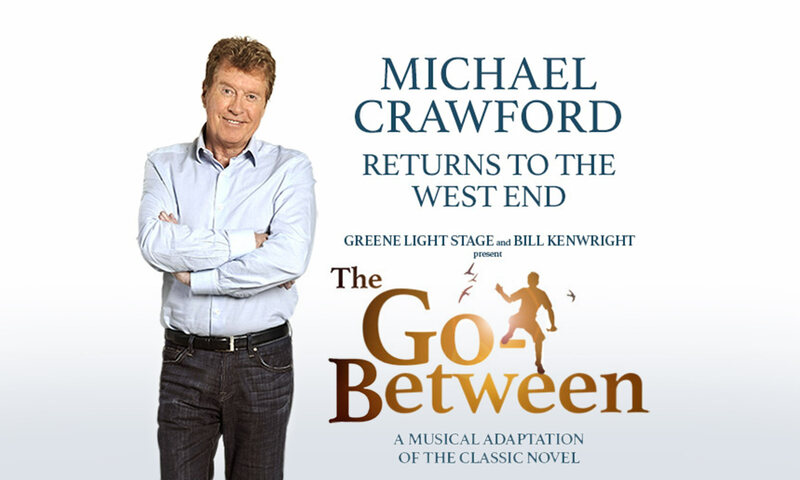 The winning entrant will win two tickets to see The Go-Between starring Michael Crawford at the Apollo Shaftesbury Avenue. The prize does not include travel, travel insurance, food and drink, personal expenditure or incidental costs, other than where mentioned. Alterations and upgrades are subject to availability and at the winner’s own expense. Once confirmed, the prize date cannot be amended. The winner and their guest must travel together at all times. The winner may be required to participate in reasonable publicity on behalf of the Promoter. Laura, a long-standing member of our Long-Haul Product team, recently joined the southern part of our Grand Tour of India, before travelling on solo to look for new and exciting sights, sounds, cities and regions for future Newmarket Holidays customers to visit. And now she’s home she’s shared some of her highlights with us. In March I was lucky enough to travel to India, where I joined the Southern part of our Grand Tour. I flew into Kochi – known to the Raj as Cochin -, the gateway to Kerala’s waterways, where I joined a small group for a tour of the City. The tour included visits to the Dutch Palace, the oldest Jewish Synagogue in the Commonwealth and the enchanting Fort Cochin. We also saw one of India’s most photographed sights – the mantis-like Chinese fishing nets that sit poised along the banks throughout the area. The group and I spent our third night together on a traditional thatched Keralan houseboat; we cruised along the canals and waterways and watched life playing out on their banks. This was an amazing experience with beautiful scenery and freshly prepared authentic Southern Indian food. a holiday-within-a-holiday that I shall never forget. Our next stop was a visit to the Periyar Tiger Reserve, where we joined a guided trek of the park as well as a cruise on the beautiful Periyar Lake. We didn’t spot any tigers but we did see wild boar, bison, deer, several different species of tropical birds and, the highlight for me, a herd of elephants. Next we headed east into the southern province of Tamil Nadu and spent two nights in the Ancient City of Madurai, a city dominated by the ornately carved Meenakshi Temple. The highlight here was a evening rickshaw ride through the busy city streets, definitely an experience I won’t forget. After leaving our passengers in Madurai I travelled on to the French Colonial city of Pondicherry. The city’s French legacy is preserved in its French Quarter, where tree lined streets front mustard coloured colonial villas and chic boutiques – a real contrast to the typical Indian city. My last stop was to Mahabalipuram which is famous for its World Heritage listed temples and stone carvings. The town is located on the shores of the Indian Ocean, making it the perfect setting to end my Indian adventure – cocktail in hand. Remember to pack hand-sanitiser, a great way to ensure you don’t suffer any illness while you’re away. Hotels will serve a small selection of Western style food but it will mainly be authentic Indian cuisine that can be spicy, albeit incredibly tasty. If you’d like something milder, just ask. Summer in India starts in the latter part of March with temperatures quickly exceeding 30°c. Loose fitting lightweight clothing is recommended – as is the carrying of a sun-umbrella which is great for keeping cool. Ladies may feel more comfortable covering upper arms and legs – especially when visiting temples. A handy hint is to keep a light shawl with you, to enable you to dress appropriately for any venue. 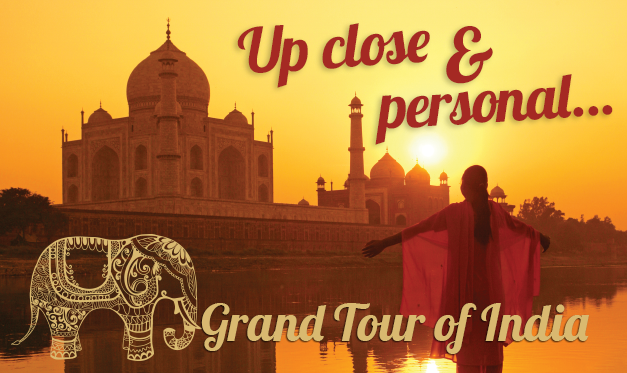 Tags: India, India escorted Tour, India guided tour, newmarket holidays | Permalink. 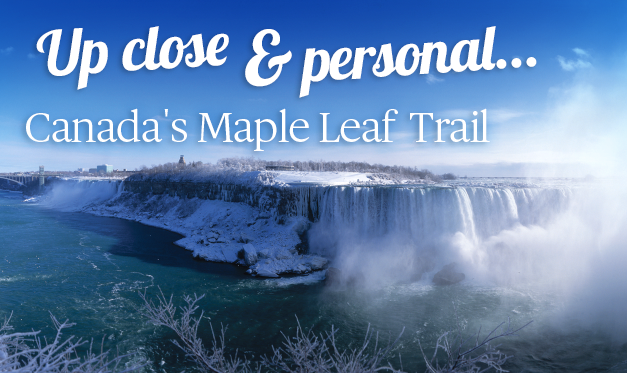 Stephanie, from the Newmarket Holidays Reservations team, recently joined passengers on our ‘Canada’s Maple Leaf Trail’ escorted tour and has shared some of her highlights with us. Working with Newmarket Holidays for over five years, Steph has developed somewhat of a love for exploration – promising herself she will not visit the same place twice. Though she has always enjoyed a relaxing beach holiday, her preferred trips strike a balance between relaxation, a spot of sightseeing and at least a dash of cultural exchange. Not realising Canada is over 40 times the size of the UK, I had no clue of the scale of the country; the vast wildernesses and the huge gulfs between cities can make for a lot of travelling and a potential logistical nightmare – so I was very glad I would be with a knowledgeable tour manager for the entire trip. The tour was a wonderful introduction to Canada and all that its east coast has to offer. We had the opportunity to explore some amazing cities: Toronto, Montreal and Quebec, as well as the country’s administrative capital city, Ottawa. We stopped off at the beautifully rugged Thousand Islands, where Lake Ontario meets the St Lawrence River – there are actually over 1,800 islands. And we stood awestruck below the bellowing Niagara Falls, putting a tick right at the top of my personal bucket-list, all the time surrounded by the country’s famous fall colours. Niagara was a particular high point for me; I was mesmerised by the thunder, the spray and the sheer volume of water. Since my return I have been asked several times which side of the falls is better – I personally feel Canada is by far the best because of the panoramic views and photo opportunities, it was a sight I will never forget. Our tour manager Gloria and driver Byron were amazing; they were full of knowledge and insight, answering everyone’s question while having a great sense of humour – making the trip that bit more special. We travelled in October which was the perfect time to see the beautiful fall colours, with the added bonus of some marvellous pumpkin displays for Halloween. – Make sure you don’t miss out on the optional helicopter flight over Niagara Falls – it gives you the ultimate bird’s eye view of all three of the falls! I’m not one for heights but this was one of the BEST things I have ever done and an absolute highlights of this tour. – You can’t go to Toronto and not visit the famous CN Tower – I faced my fears and braved the 553-metre tower with amazing 360-degree views of the city and a revolving restaurant, definitely worth a visit! Will you brave the glass floor? – The optional city tour in Montreal is a must; it takes in all the major sights including the somewhat peculiar ‘underground city’. – The Quebec City walking tour is wonderful, taking you on a walk around the old town which has been declared a UNESCO world heritage site. It’s filled with cobbled streets, incredible architecture that is up to four centuries old and has a 130 year old funicular to the upper town – what more do you want? 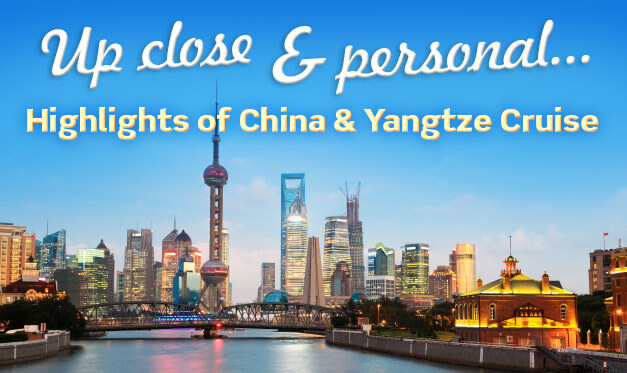 Carol, from the Newmarket Holidays Reservations team, recently returned from our Highlights of China and Yangtze Cruise escorted tour and was keen to share some of her personal highlights with us. What a trip; two rail journeys, a cruise and hundreds of incredible sights all packed into 16 days! Our tour guide Peter was excellent. He arranged for porterage of our bags on all the flights, as well as the train journeys. He translated the menus so we had an idea of what we were eating and generally made the trip enjoyable for everyone. The trip covers so many cities and aspects of Chinese life, from Shanghai, which is very commercial and much like New York in some respects, to more rural areas. The giant pandas in Chengdu were a real highlight for me – there are currently 60 at the centre and they even have cubs for visitors to coo over. The UNESCO-listed Terracotta Warriors are a must-see. The first of the 8,000+ statues were only discovered in the 1970s by four farmers who were digging a well. Located just a mile from the tomb of China’s first emperor, Qin Shi Huang, it is believed that there are more treasures still buried and further pits are due to open to the public in the next year. We also visited the largest preserved section of the world famous Great Wall, which was not only breath-taking to see but also provided an ideal platform from with to view the incredible surrounds. We visited a pearl factory, silk mill, jade factory and enamel furnace. We enjoyed an optional excursion to the Peking Opera, to watch performers singing soprano – it was certainly an experience. We also went on a rickshaw ride in Beijing, which was really fun, and visited one of the city’s original houses which gave a glimpse of what home life was like before the revolution. The Shanghai nightscape cruise on the last night was a lovely way to finish the tour. It was definitely a trip of a lifetime! If you would like to find out more about our Highlights of China and Yangtze Cruise tour, or any other destination in our range of holidays, please feel free to contact me for help or advice. Tags: affordable holidays, China, escorted tours, newmarket holidays, tourism | Permalink. Meet Emyr, one of our longest serving team members here at Newmarket Holidays. He’s celebrating 10 years – and 5,000,000 travelled miles – with us, although his experience as a tour manager dates back much further. In fact, Emyr has worked as a tour manager for an astonishing 55 years. Emyr’s first tours took place before motorways had even been built in Britain and, according to him, “the journey from west Wales to London took 12 hours in those days”. Not to mention tickets to the Royal Albert Hall costing just 75 pence! The life of a tour manager can be very hard work but also very rewarding. A normal day involves early mornings, organisation and careful planning. We asked Emyr what he thinks makes a good tour manager: “a good alarm clock, a good sense of humour, an understanding wife/husband/ partner, a good sense of direction and – most importantly – a plan B”. And the biggest perks of the job? The pleasure of meeting new people and the strong team spirit among his colleagues, Emyr tells us. After 55 incredible years of touring, Emyr’s ambition is to continue serving the thousands of customers choosing to travel with Newmarket Holidays for a long time to come. “Orders are being taken for tour 500!” – jokes Emyr. Comment on one of our posts about the competition telling us, in your own words, what makes Christmas special for you. Post to our Facebook page telling us, in your own words, what makes Christmas special for you. Entrants must be UK residents, over 18 and not employees (or members of their families) of Newmarket Holidays, or anyone connected with the draw. Prize draw is open to anyone who likes the Newmarket Holidays page on Facebook. By submitting your entry, you are giving Newmarket Holidays the right to quote you and use any photos or videos in promotional and marketing material on social media and other channels in the future. Only one entry per person per entry method. Entries on behalf of another person will not be accepted and joint submissions are not allowed. All entries will automatically become the property of the promoter. There is only one prize to be won. The prizewinner will receive a luxury Fortnum and Mason Christmas hamper. The prize is subject to availability and may change at any time without prior notice. The contents of the prize hamper may differ from the products depicted in the images used in the promotion and the competition pages. The closing date for the receipt of entries is 23:59 hours on the 31st December 2015. Entries received after the closing date will not be considered. Entries from third party agents or bulk entries will not be eligible for the prize. The promoter will not be responsible for any entries that are not received by the closing date, whether lost, delayed, corrupted or otherwise, and whether or not due to any technical difficulties or malfunctions. A panel of judges from Newmarket Holidays and affiliated parties will select the winner of the prize draw on the 4th January 2016. The winner will be notified on Facebook in a comment or reply to their original entry on or before the 8th January 2016. If the winner cannot accept the prize for any reason or is not contactable within 48 hours then the promoter reserves the right to award the prize to another entrant. The winner must provide Newmarket Holidays with their full name and a UK address where they can receive the prize. If they are unable to provide this information, another winner may be selected at Newmarket Holidays’ discretion. Any personal data relating to entrants will be used solely in accordance with current UK data protection legislation and best practice. The judging panels’ decision is final. No correspondence will be entered into. Winner agrees to the use of their name and/ or photograph for publicity/promotional purposes. No additional compensation will be awarded for such publicity/ promotional purposes. Newmarket Holidays will provide the prize but accepts no responsibility or liability whatsoever in relation to any matter arising out of this competition or the enjoyment of the prize. Newmarket Holidays are in no way responsible for any unforeseen delays in the delivery of the hamper. Promoter: The Newmarket Group of Cantium House, Railway Approach, Wallington, Surrey, SM6 0BP.